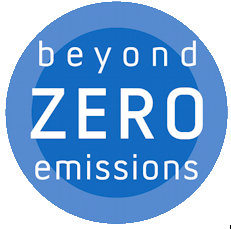 BSC is one of the team of three founding partners to Zero Emissions Byron. The Mayor, Councillor Simon Richardson, is ex officio on the Board of Directors of ZEB Pty Ltd. 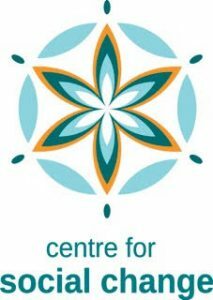 The Director of the Centre for Social Change, Amanda Cahill, is one of the three founding partners to Zero Emissions Byron. Currently, she is also on the ZEB Advisory panel. In May 2015, the Director of Melbourne Think Tank BZE met the Mayor of Byron Shire Council and came up with the grand plan to establish Byron Shire as a demo site to show how one community could reduce its emissions to zero in 10 years. We collaborate on projects of mutual interest with our friends at this community-owned renewable energy retailer. Widely read and respected around Australia since its launch in 2012, RenewEconomy is Australia’s best informed and most read website focussing on clean energy news and analysis and climate policy. A non-profit community initiative to encourage 100 businesses in Byron to go solar and save on their electricity bills, using daytime sunshine and reducing pollution levels. It’s a WIN all around! The aim of Community Owned Renewable Energy Mullumbimby is to run the Byron Shire on Renewable Energy. At ZEB, we share that vision and collaborate on projects of mutual interest such as Repower Byron Shire. We heartily support BVL, a Byron Shire volunteer organisation supporting and encouraging effective natural resource management. Their aim: ‘To conserve and restore our natural environment from forest to foreshore’. This fantastic Landcare group describes itself as the “voice of the forest”. It’s mission? To restore and care for our critically endangered rainforest. Founded in 1992, it’s one of the largest and most successful Landcare groups in the country. Repower Byron Shire is a community movement led by COREM and Enova Community assisted by Zero Emissions Byron to support and inspire us all to transition to a renewable energy future. It’s about switching on people power by decreasing the cost of electricity, increasing local power generation and reducing carbon emissions. The mission of our friends at Small Giants is to lead our community towards Empathy and a New Economy. that are shifting us to a more socially equitable and environmentally sustainable world. The Business Renewables Centre Australia (BRC-A) is a member-based platform that streamlines and accelerates corporate purchasing of large-scale wind and solar energy and storage.